So Manny Cupcakes | Baking made simple and easy. A few weeks ago I was privileged to create cupcakes for 2 weddings! A simple, rustic style wedding with one of the coolest cupcake displays I’ve had for a wedding! Red Velvet, Cookies & Cream, Vanilla, Chocolate Peanut Butter & Gluten Free Citrus. I also did their wedding cake, Chocolate cake with fudge in the middle and vanilla buttercream frosting. I got to try my hand at Gluten Free cupcakes for the first time. I think it turned out pretty well! Exhausted from a bumpy & hilly delivery, I took a small break, grabbed a snack then jumped right into icing the next wedding! An elegant affair. Will is my cousin and I’ve known Heather since we were little, so it was an honor to serve cupcakes for their wedding. Red Velvet, Cookies & Cream, Vanilla, Chocolate Peanut Butter, Strawberry & Salted Caramel Mocha! As much as I enjoyed pushing myself to do something as crazy as 2 weddings in 1 weekend, I wont be doing it again for a long time. Let me just start off by saying that creating a wedding cake is very intimidating for me. I think of them as this large, elegant master piece of perfection. Cupcakes are mini works of art and its ok if you make a mistake and the decoration varies. 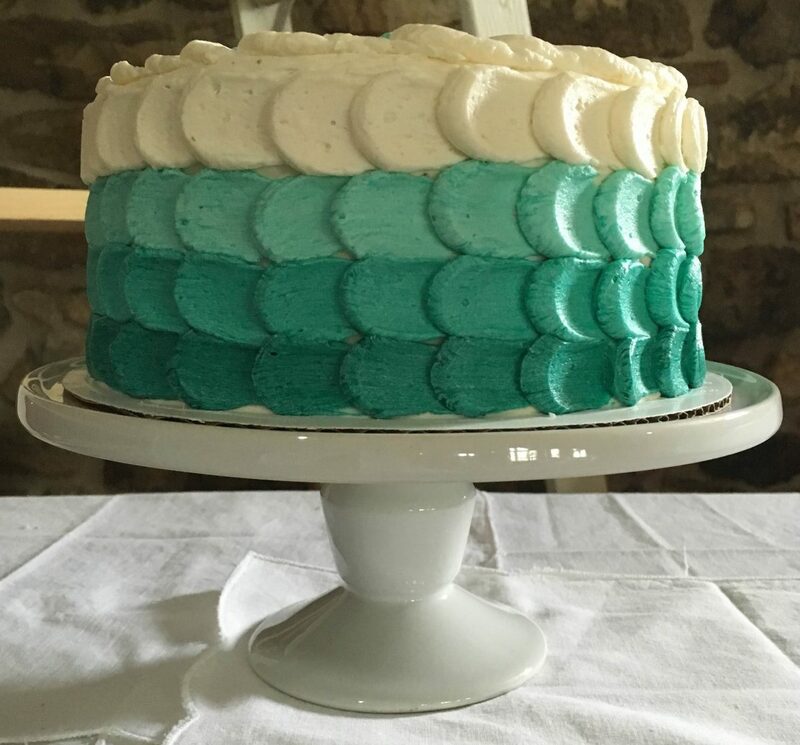 When I close friend asked if I would make her wedding cake, I explained that i had never done one and didn’t feel like I could pull off anything more than two tiers. She had full confidence in me to create something lovely for her. Here are the two wedding cakes I have done. The third is coming up soon and I am hoping to be a little more creative with the icing. In the end I think they both turned out pretty well! Maybe I will work on being more adventurous. At the crack of dawn we were at the church getting ready, coffee in hand of course! Here are some pictures capturing that magical day. We loved every second about our special day! Now lets look at that cake! I love this cake so much! A simple Strawberry short-cake, naked in all its glory. 🙂 It was certainly nice not to worry about making my cake and the baker did a wonderful job taking what was in my head and creating a cake master piece. Shout out to Cordial Cakes for an amazing cake & Stacy Salvatori for her fantastic photography skills! A spectacular day overall! 🙂 Let the adventure begin.